Most of London’s oil and gas investors will, at this point, have at least heard talk of England’s breakout Kimmeridge oil play – read on if you haven’t or even if you are yet to get to grips with the finer details. 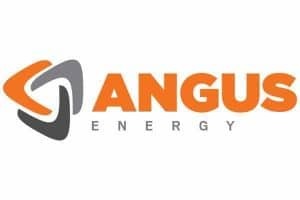 Angus Energy PLC (LON:ANGS) last week became the latest AIM-quoted explorer to unveil very significant well testing results that go some way to validate the potential of the play, which could be extensive in certain parts of southern England. It has a 25% stake in the Balcombe project, which made headlines due to high profile environmental protests back in 2013. Last week, Angus revealed that a horizontal well at Balcombe had flowed oil at a rate equivalent to 1,587 barrels per day during testing. It was a remarkable result, rivalling the rates seen previously at the Horse Hill project, which also tests the Kimmeridge play. 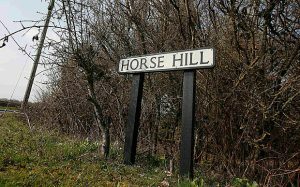 Although the Balcombe project was under the spotlight of ‘anti-fracking’ protest in previous years, neither it nor Horse Hill involve fracking. Instead, these projects target areas that are naturally fractured – so artificial, hydraulic fracturing is not required. Angus Energy geologist Andrew Hollis, in a video produced for the company, has explained the naturally fractured Kimmeridge play in more detail. Somewhat marring Balcombe’s seemingly stand-out result was the unexpected presence of water amongst the oil flowing from the well. Angus said it believes they are the result of the well intersecting a small high-pressure water zone in the horizontal section and that would need to be isolated in the future. It added that the technical team doesn’t believe that the water production comes from the main Kimmeridge reservoir. But, an attempt to qualify this view with additional well logging was unsuccessful due to what Angus described as a third-party equipment failure. The company noted that at one point during the initial flow testing, the overall flow rate hit a rate of 3,000 barrels per day though it had to be constrained due to equipment limitations (as it exceeded separator operating capacity). Nonetheless, Angus claimed that it believes it can isolate the water producing zone and establish commercial production under normal pumped production conditions. It also noted that the duration of the tests was limited and due to planning restrictions on the operations, the programme had to be curtailed after only two tests. At the Horse Hill site, a production testing programme is now underway on the Kimmeridge – after a successful test of the shallower conventional Portland reservoir (which was proved commercial). 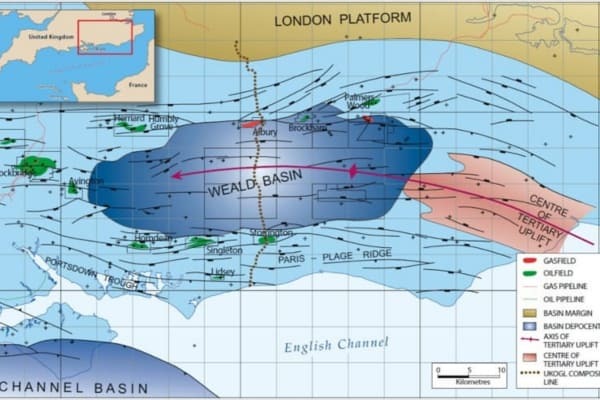 The testing began last week, and, the project’s largest stakeholder UK Oil & Gas Investments PLC(LON:UKOG) said that a new report, by consultant Xodus, has determined that the single HH-1 well “sees” between 7mln and 11mln barrels of connected oil in place in the conventional Portland reservoir. Meanwhile, a long-term production scoping report has been submitted to Surrey County Council. It envisages a total of six production wells, with up to 3 production wells and a reservoir pressure support well in the Portland oil pool. A planning application for the production operation is due to be submitted to the council before the completion of the extended well test programme. In the meantime, however, all attention will be on the production testing results.